(SPOT.ph) At a time when super-typhoons, deep freezes, and severe droughts have become the norm, it’s imperative we do what we can to reduce our carbon footprint. And the start of a new year is as good a time as any to make that commitment. So add "Go Green and Go Local" to your New Year’s Resolutions and opt to buy eco-friendly alternatives as much as possible. After all, it’s no longer that hard to shift to a greener lifestyle. 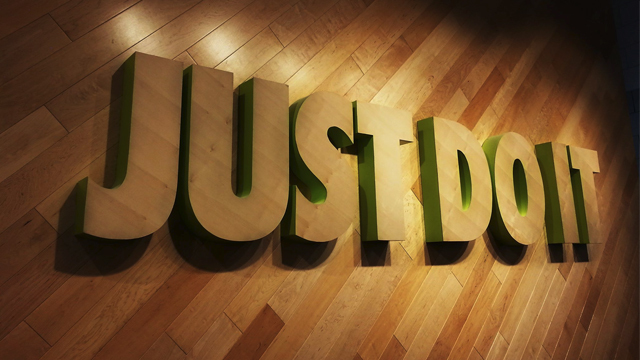 There are now plenty of stores and products in the country that are committed to saving Mother Earth. Aside from old favorites like Messy Bessy, Human Nature, and Echo Store, here are a few more you may want to check out. 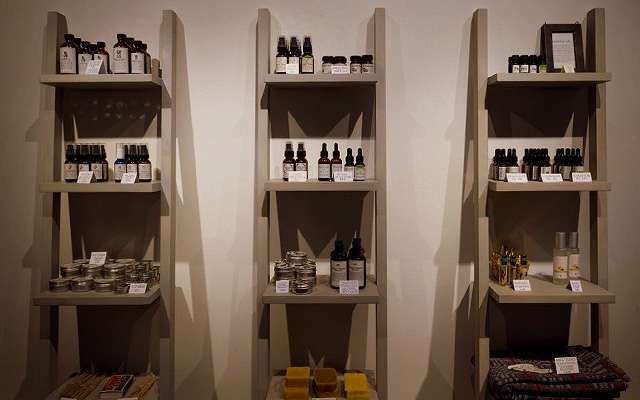 This general store in Makati is dedicated to selling local, eco-friendly products. They’re big supporters of saying no to plastic, so when you drop by their store be sure to bring your own containers. They sell muscovado sugar, coconut sugar, and cacao nibs, among many others, but we’re especially intrigued by the Kalingag powder (used to soothe stomach ailments, for cooking meats, and flavoring syrups) and mushroom salt. 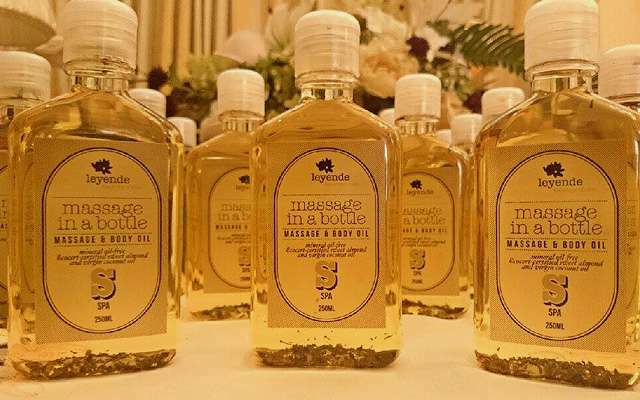 They also sell bath-and-body products like liquid soaps, serums, massage oils, and insect repellant as well as green cleaning products like dishwashing liquid and detergent bar. Ritual is t 2/F Languages Internationale Building, 926 Arnaiz Avenue, Makati City (behind New World Hotel). Open from 11 a.m. to 8 p.m. (Tuesday to Saturday). 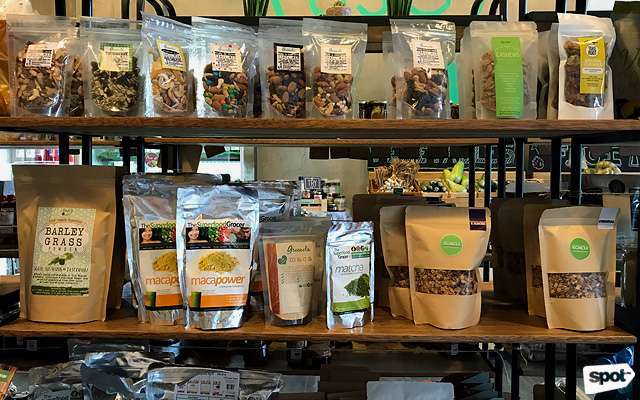 Tucked away on the ground floor of the Elizabeth Hall Building along Katipunan Avenue is this amazing little green grocery that sells local eco-friendly goods ranging from vegan to organic, superfoods to petcare, and veggie snacks to cosmetics. Here are a few items on our USG grocery list: Farm-to-Table butter from grass-fed cows, Fetch dog shampoo, Go Black Activated Charcoal Detox Juice Drink, Just Coco coconut juice, Jacob’s Peanut Praline Butter, and Southern Folk Champorado. You’re sure find more items you’d want to put in your cart when you step into this store! Ultra Super Green is at G/F Elizabeth Hall Building, Katipunan Avenue, Loyola Heights, Quezon City. Open daily from 10 a.m. to 10 p.m.
Do you know what time it is? It’s time to do your part in saving the environment. 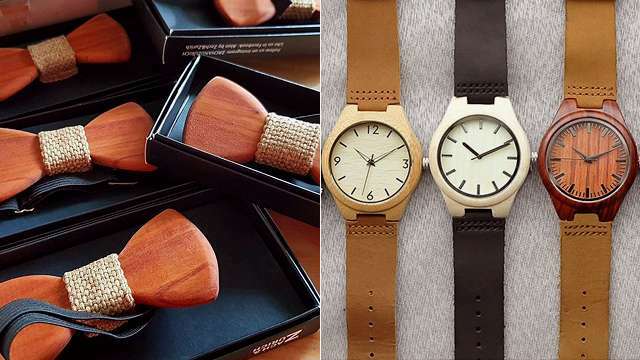 One stylish way to do that is to buy eco-friendly fashion pieces like the locally made Kawayan Watches! 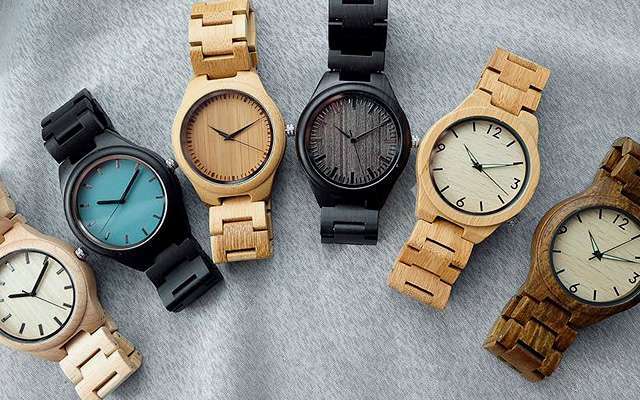 As the name suggests, these expertly crafted watches are made from bamboo, a sustainable and biodegradable material that grows abundantly in the country. Aside from being environment-friendly, Kawayan watches are affordable and come in different eye-catching designs that are sure to turn these timepieces into conversation pieces. You can shop Kawayan PH at Go Lokal! Robinsons Place Ermita and Kultura at SM Makati. 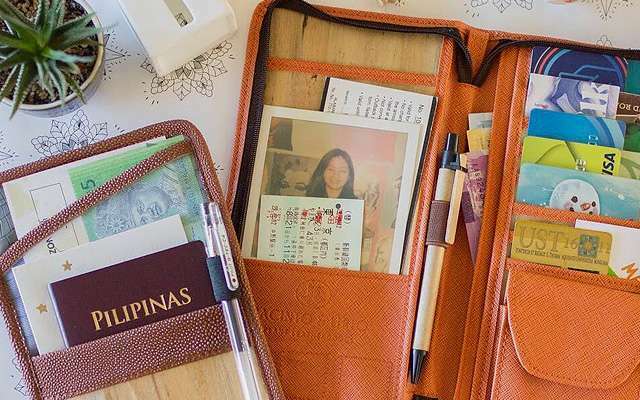 Jacinto and Lirio offers handmade plant leather goods like planners, wallets, journals, and bags as alternatives to animal leather products. The best part is that they make these items from the highly destructive water hyacinths infesting local waters in Rizal and Laguna, clearing our clogged waterways of the pesky vegetation. Not only that, they also provide livelihood to communities living in these areas. We call dibs on their travel wallet! You can shop Jacinto & Lirio online and at National Book Store, Fully Booked, Echo Store, Powerbooks, Scribe, Human Nature, and Bo’s Coffee. Tons of plastic end up in our seas every year, endangering aquatic wildlife and ecosystems, so every little effort to reduce plastic waste counts. Remember that video of rescuers extracting a straw from a turtle’s nose? Not pretty. Not okay. As an alternative to using plastic straws when you go out, why not bring your own reusable straw? Enter Sip PH and their super cool steel straws. Their Classic straws come in straight and bendy versions and, milk tea fans, you’re going to love this: They have Milk Tea straws with a larger diameter, perfect for sipping those yummy pearls. C’mon, guys...do it for the turtles! 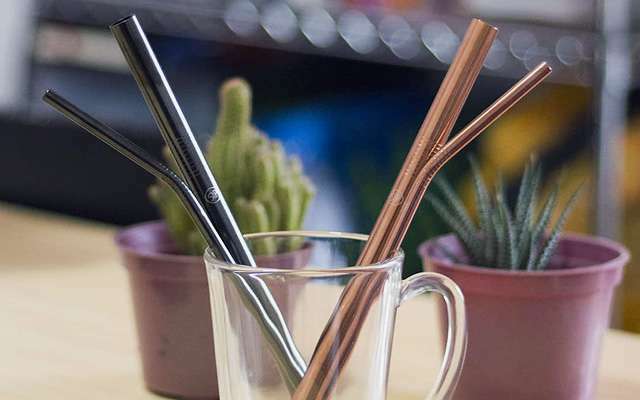 You can shop Sip Steel Straws online. You’ll fall head over heels for Leyende’s bath-and-body products (we are huge fans of their Rapunsilk shampoo, Taming of the ’Do conditioner, and Clean Slate multi-task cleanser), not just because they’re all-natural and organic, but because they’re also nature-friendly, using biodegradable and Eco-cert certified ingredients. They’re currently updating their brand, and we can’t wait to see all the new things they have in store for us! Kudos if you always bring a reusable tote with you wherever you go. Congrats if you use your Sip steel straw instead of disposable ones. 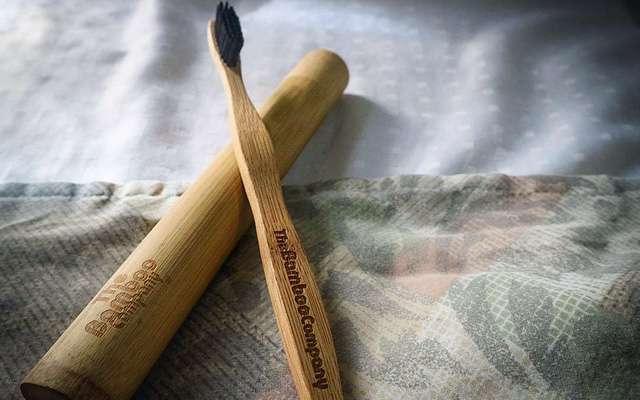 But there’s one more way you can reduce plastic waste in your everyday life—by replacing your plastic toothbrush with a bamboo one. Why switch to bamboo? First of all, bamboo is biodegradable, so it’s not going to end up in our landfills and oceans. Secondly, it has natural anti-microbial properties. So it’s good for the environment and good for your dental health. Smile! it’s a win-win. If you’re looking for beautiful bespoke furniture that’s also environment-friendly, check out The Old Wood PH. This local furniture company produces thoughtfully designed furniture pieces handcrafted from reclaimed wood and sustainably sourced timber. By recycling wood, they are helping minimize deforestation—a big concern in a country where when it rains a little, it floods a lot. 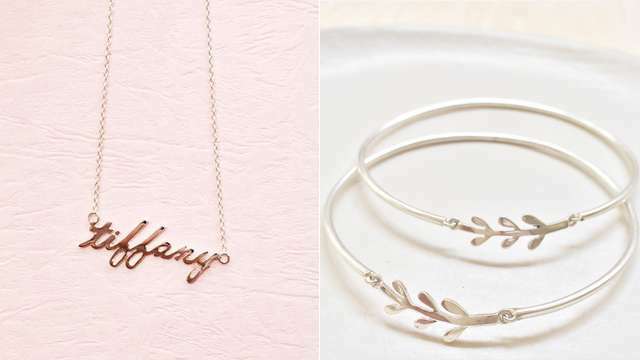 And unlike the hand-me-down sofa you got from your mom and the aparador you inherited from your lola, these pieces are custom-made to your taste and liking. 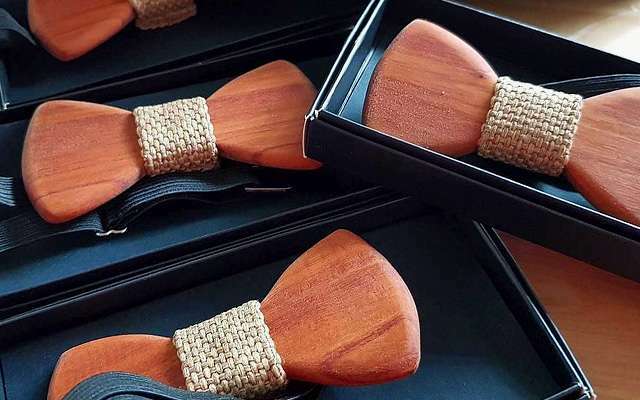 Their handcrafted wooden bow ties are simply charming! Stylish and unique, they would make the perfect gift for the dapper men in your life. The wood they use in making the bow ties is mahogany that’s sustainably sourced from partner furniture manufacturers. They are actually made from the cutouts or unused end pieces of furniture, ensuring as little waste as possible. 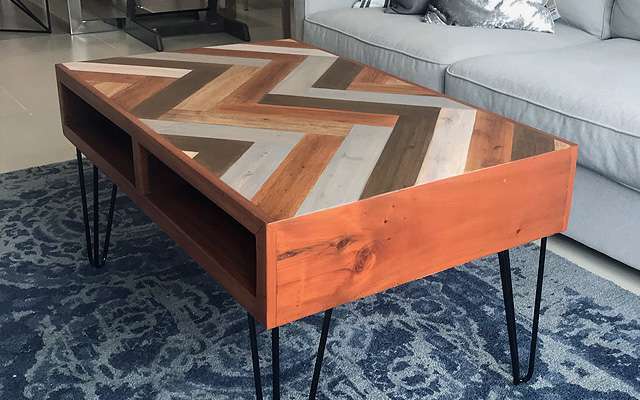 To be able to transform wood that would have ended up as waste into something delightfully sartorial and functional is really quite impressive! You can shop Alon at Felipe & Sons (Ortigas and Makati), Common Room (Katipunan and Alabang), and Spectre Manila. 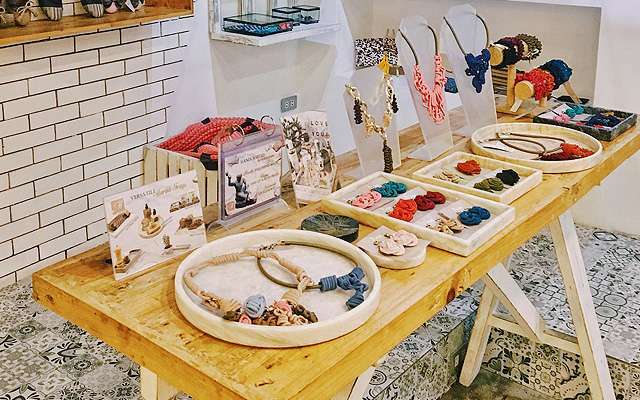 What started out as Rags2Riches has now become Things That Matter, a marketplace that believes in empowering women, supporting artisans, celebrating culture, and upholding sustainable living. They curate products that uphold the same values that they do—of creating a positive impact and an intentional lifestyle. You’ll find items from Anthill Fabric Gallery, Funk Trunk, So True, and of course R2R. Happy shopping! You can shop Things That Matter online.